Unity Insurance and Investments Services, Inc. Umbrella liability insurance is so named because it acts like an umbrella, sitting on top of your auto and homeowners liability policies to provide extra protection. 'Extra protection from what?' you may ask. Say you were sued for a weather-related mishap on your property or you were found at fault in a major traffic accident. An umbrella policy would have you covered if the settlement amount extended beyond your limits of liability (minimum limits of liability required varies per company). 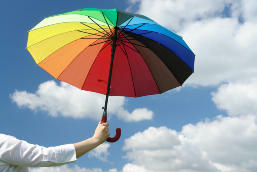 Unity Insurance and Investments offers umbrella liability insurance that is relatively affordable and we can work with you to easily coordinate it with your existing insurance policies. plugs holes in your coverage.